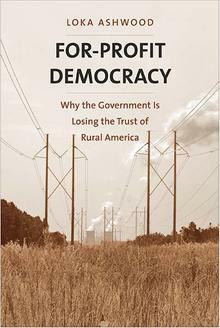 Loka Ashwood, a rural sociologist at Auburn University, visited The Land Institute in Salina, KS, last September, and gave a presentation on her then just-published book, For-Profit Democracy: Why the Government Is Losing the Trust of Rural America. The book is wonderful, if sometimes a little frustrating–I’d love everyone to read it, but especially the liberal editors of Washington Monthly, the liberal contributors to Boston Review, and all the progressive liberals surrounding Elizabeth Warren’s presidential campaign. Why them, in particular? Well, that takes some explaining. I pick on the Monthly and the Review in particular because they both recently published extensive packages of articles addressing–in thoughtful and (mostly) non-condescending ways–the fate of liberal politics and left causes in general in rural parts of America, and insisting that a new engagement by those on the left with rural America is a necessity. Paul Glastris, the editor of the Monthly, announced the issue’s focus by calling upon its mostly wonky, mostly DC-living readership to “check your coastal urban privilege,” and the articles which followed thoughtfully examined how agricultural consolidation is more a problem for rural communities today than tariffs, and how airline deregulation and the weakening of antitrust laws have created huge difficulties for small and mid-size cities in rural parts of the country trying to hold onto the resources upon which rural, regional economies depend. Elizabeth Catte, editing a special issue titled “Left Elsewhere” for the Review, invoked the left-wing, populist history of miners’ unions and other 19th-century and early 20th-century fights in Appalachia, noted the parallels between those movements and the West Virginia teachers strike, and insisted that liberal reformers today need to rediscover a “continuity” with rural activists from the past. And as for Warren, just on Wednesday her campaign dropped a long list of policy proposals she is promising to pursue if elected president, any one of which–supporting farmers in their pleas for much needed right-to-repair laws, shifting anti-trust policy to focus at least as much on the Monsanto-manipulated agricultural producer as on the cheap-food-price-paying consumer–would be valuable additions in the fight to preserve rural economies and keep agricultural communities intact. Talk is cheap, of course. Still, these and many other responses–some hopeful, some less so–from the liberal/progressive/socialist/left side of the political aisle in American life would seem to suggest, if nothing else, that in the wake of consistent major losses in the middle of the country over the past couple of decades, at least some smart Democratic activists, think-tankers, and politicians want to be more serious about incorporating the social and economic concerns of rural America into their thinking. More power to them! But, also, they should read Ashwood’s book. Because her analysis of the way the federal, state, and county governments of Burke County, Georgia, plus the massive and entwined corporations of Southern Company and Alabama Power, and the nuclear Vogtle Electric Generating Plant which they all together managed to build on land that, at one time, was owned by and provided both cultural and natural support to the people who lived upon it, teaches sobering lessons to those who hope that policies alone, absent a deeper restructuring of how we think about rural communities, will suffice. [F]or-profit democracy is enacted through the collective legal form of the corporation. In no universe would corporations exist without a legal system committed to economic development. Corporations enjoy liability protections not afforded to humans that go by their own name. When the Smith family can’t pay their mortgage, they lose their house. 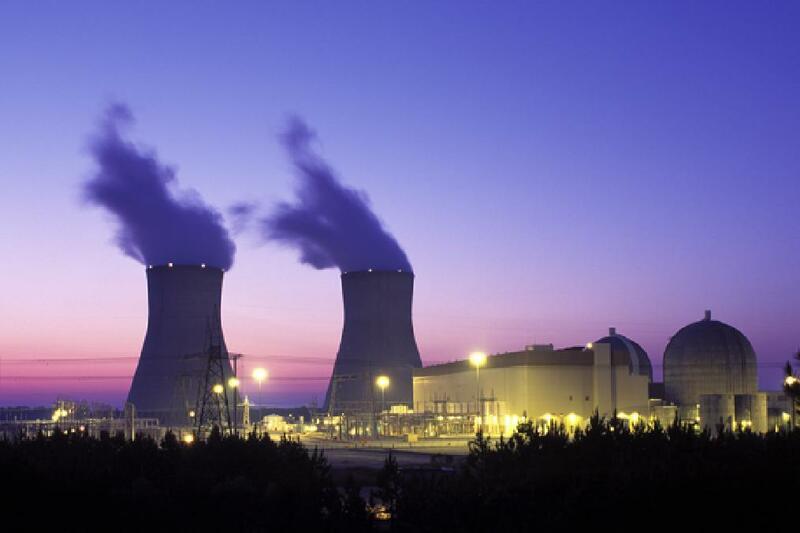 But if a nuclear power plant defaults on a loan payment or experiences a core meltdown, layers of subsidiary corporations, limited liability, and special legislation protect shareholders from paying their debts. Further, private utilities have an absolute monopoly because the state (in addition to making them legally possible) allows them to buy up one another while also demanding that citizens fund them…. If corporate expansion over public purposes and private profit stopped there, profit-seeking corporations might not be such a substantial affront to the moral economy of democracy. Perhaps the legal creation of what I see as “for-profit democracy”…could stay in a sphere of corporate trade and not over-power the right to own property for other reasons. Perhaps limited liability could apply only when corporations squared up against other corporations, without dispossessing humans, who still bore liability for their own actions. But corporate owners have not stopped there. On top of awarding them public and profit rights, the judiciary recognizes corporations as people….Economic development and making money are so confused with the ultimate ends of society that fictitious legal creations are treated as everyday people….Deft lawyers cleverly press the extension of human rights to the corporate form through narrow legal jurisprudence, making profit’s rule ever more pervasive in every more corners of democratic and everyday life. Meanwhile, the scales of justice that favor corporations bring democracy ever closer to the breaking point–a breaking point for the moral economy familiar to Sydney, Sara, Dave, Dean, Beau, and Patty [all of whom are various individuals that Ashwood profiles at length, all residents of Burke County who have found so many options for the traditional use of the resources and land once available to them circumscribed by the actions of power companies and the county government that are tempted to do as many others–just take the money and leave], who find themselves unable to compromise on their most deeply held principles for the sake of a profit-seeking legal apparatus (pp. 25, 71, 73). 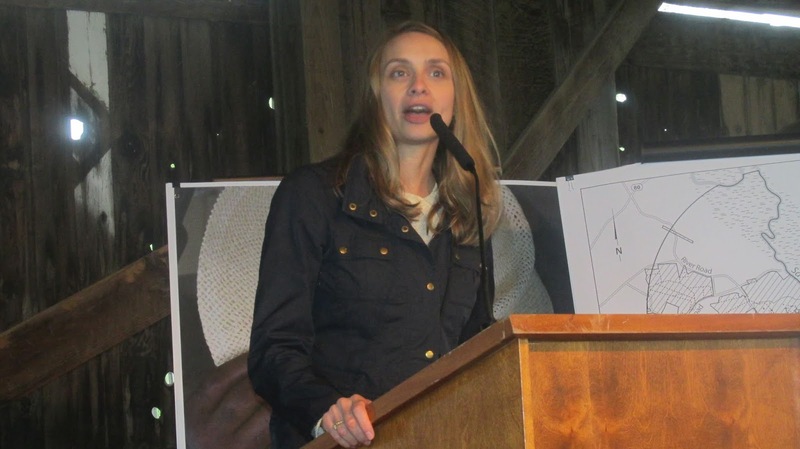 There are many more arguments which Ashwood develops from her years-long, sometimes difficult engagement with and study of both the facts on the ground and the people who live upon it, there in Burke County. (In a nice moment, Ashwood relates how some doors were opened to her that might have remained closed as the word spread through this rural area that her husband was Irish, making her more sympathetic; apparently, stories of the sufferings of the Irish are still known among the distant descendants of the Scots-Irish in the Georgia backwoods today.) Not all these arguments–about positive and negative freedom, about Thomas Hobbes, about the nature of private property itself–are equally well-informed. But the way she charts how the contracting of resources worsened racial divides, how the rhetoric of both Christian preaching and gun ownership was locally shaped by corporate-driven instability, and more was all superb. True, what she is studying may not be all that different from what happens in urban environments, when business interests get government support (and sometimes even subsidies!) to buy up and “improve” properties that were, in however limited a fashion, “commons” that contributed to urban life. But the fact that her context for examining the way these tensions play out is a rural one matters. The problem, to put it simply, is rural conservatism. The people she spoke to–the white ones, anyway–nearly always voted Republican (when they bothered to vote, that is). How seriously, you might wonder, are we to take the observations and conclusions of someone who spent years tramping around the forests of eastern Georgia, and develops from that study a condemnation of corporate power and the rule of capital, a condemnation that, at least insofar as electoral results go, is apparently shared by essentially none of the white people she spoke to? Isn’t it more likely that her fine-grained sociological study of the people of Burke County only reflects class and race-specific patterns of belief which we’re all already familiar with, patterns into which the well-intentioned proposals from Washington Monthly or Boston Review or Senator Warren fit nicely? I would argue no: instead, Ashwood has revealed something important and not-often noticed. But unfortunately, you have to go beyond her fine book to see what that is. Assuming we accept this typology (and I’m not sure I do, at least not entirely; I would like to have a long conversation with her as to why she assumes that radicalism is invariably tied to state power) what does it tell us about rural conservatism? Mainly, in Ashwood’s view, that what many of the people she interviewed–people who struggled with the reality that tremendous (though definitely not equally shared) economic and technological benefits to their communities came entwined with alienating, land-grabbing, disempowering public-private partnerships–felt an anarchic desire, one which came out sounding like conservatism, because there was no other available political language which came close to attaching to it. Their actions and reactions, in her view, clearly exhibited a conviction for which their political context gave them no partisan formation. William took issue with the power given to authorities, who then turned their authority into power over the people, rather than power for. He said that he didn’t care about voting. That served to reinforce the state that had sucked so many of his neighbors dry. What does William stand against? For-profit politics. He stands against conjoined corporate and state corruption that violates his ideal of hard, honest work, embedded in everyday, manual, resource-intensive labor…. In the modern world, William finds the defenseless to be not only human, but also those voiceless life-forms in need of defense. The woods, open fields, lakes and streams, and inhabitants–quail, snakes, waters, trees–conjoin with disenfranchised humans to constitute what William sees as the defenseless rural poor….The term “environmentalist,” signifying someone explicitly engaged in green politics as part of formal governance, doesn’t fit. 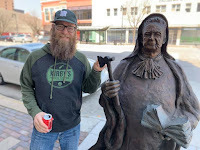 William clarified to me that he “ain’t no tree hugger.” The rural rebel defends what I sense to be “environmental honor,” a poignant protection of what is seen as a defenseless community of ecology…. The bending of William’s back in his self-chosen toil serves as as essential piece of his resistance against corporate and government control. He is not part of a roaming group of outlaws. Nor is he a member of a mob. He is in fact rare, and has the admiration of a following the stubbornly stands against the money interests that he sees destroying his homeland….Part of being a rebel can be staying at home–that in itself is an act of defiance against the state, which demands urban migration (pp. 126, 132, 134-135). There is clearly at least a touch of hero-worship in Ashwood’s description of Gresham, but something powerfully authentic as well. Elements of social welfare can be found in his language, and traditional Christian morality as well, but no fondness, at least in Ashwood’s telling, for either profit or progress, both of which, in Gresham’s telling, invariably involve one in the machinations of both Big Business and Big Government. Gresham is hardly a role model for the more egalitarian and pluralistic world which sets the terms by which our economic and legal structures operate; Gresham’s life operates in accordance with rules that are very particular to his gender (Greshman’s friends are astonished that he brought a woman on one of his secret trips up the Savannah, and the aggressive flirtation Ashwood put up with while getting to know him bordered on the abusive) and his race (Ashwood’s interviews make it clear that poor African-Americans that live near Gresham would never trespass while hunting the way he does casually, or at least would never admit to doing so to an outsider like herself–the threat of law enforcement was real to them in the way it wasn’t for Gresham). But for all that, is there anything “conservative,” in the rural anarchic sense which Ashwood observed, that all the progressives, liberals, socialists, and others who are concerned about crony capitalism, alienation, monopolization, state oppression, and all the rest, can learn? Well, maybe. Taking the for-profit democratic state at face value prompts an understanding of rebels as something other than apolitical, pre-political, misguided malcontents. If the state is seem as complicit in the creation and persistence of the coal industry, the nuclear industry, or any other corporate industry that could not exist without the government, rebellion becomes less an unfortunate barrier to successful political action. It rather takes on its own legitimate basis of political reason by working entirely outside a state that sanctions exploitation (p. 125). In the end, I’m not certain I take the “for-profit state” entirely at face value. 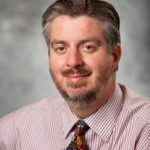 I’m not certain that I agree that private-public partnerships, absent a wholesale reconstruction of how markets function, are necessarily always disempowering and exploitive, especially if the public goods being secured (as, in theory, is the case with public utilities) are truly comprehensive. And therefore, relatedly, I’m not convinced that there’s something wrong with Democrats who, in thinking about rural communities, focus on judicial decisions, state-enforced laws, and more. But even if there isn’t anything wrong, there well may be something missing. What’s missing, perhaps, is a clearer understanding of “why” any policies such as those would be valuable, assuming they can pull of their reforming work. It’s not, at least insofar as Ashwood’s work suggests, because farmers will be grateful for the security the state is providing. It’s because, maybe, just maybe, it will help them be less in need of such outside security, and more able to live their arguably “rebellious” lives in their places. Which is exactly why all of them haven’t decided to accept discipline, get with the program, and move to the city yet, right? I’ve not yet read Ashwood’s book but I clearly need to. Having said that, it seems to me from what you describe here that her basic findings track rather well with those of Justin Gest in his book The New Minority, which deals primarily with the WWC of rustbelt communities, and also contains a sociological study. It shouldn’t be surprising that the views of these two demographic communities often overlap, even when physical proximity is not an issue (and more so when it is, as in the area where I live.) It will be interesting to compare Ashwood’s details with Gest’s, given their somewhat parallel general findings. I wasn’t familiar with Gest’s book, Rob, so thanks for the recommendation; that looks interesting. What happens when you treat young adults like children, taking away their agency and control over their own lives, and insisting to them that you know better than they do about how they should live? They rebel, quite spectacularly, in many cases. On the individual level, last century society decided to invent the new term of “teenager” to justify not allowing them into adulthood as had been done previously. The general principal is the same. Urban liberals don’t need to give solutions to rural communities, they certainly don’t need to patronize them and think that they just need to explain why their solutions are so great so the silly little things finally understand–they need to give them power. Communities, like individuals, might do stupid things with their power, and protections need to be in place, but at some point they have to have some power if they’re ever going to be able to function. Communities, like individuals, might do stupid things with their power, and protections need to be in place, but at some point they have to have some power if they’re ever going to be able to function. For all our many disagreements, Brian, I can’t find anything in that sentence that I would dissent from. Maybe our differences are more a matter of how we define, or what we define as, “communities,” than anything else. Anyway, well said.